A careful, lay-person’s guide to the central prayer within the Christian church called “The Lord’s Prayer.” It’s a new examination of what this piece of poetry might actually be…not a list of petitions for a future time, but a declaration of intent for the present moment…what he calls “performative” language. As such, the book has an appeal beyond religious audiences, although its primary audience are those who still pray the prayer. 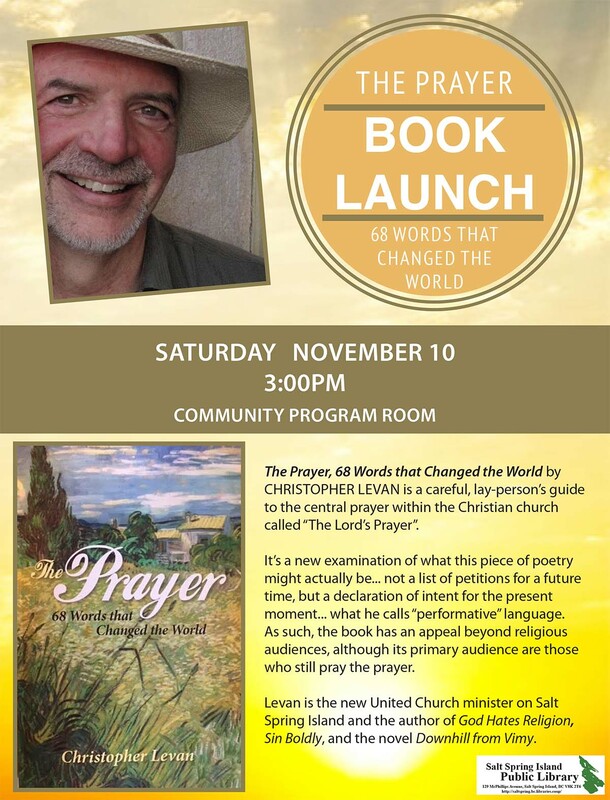 Levan is the new United Church minister on Salt Spring Island and the author of God Hates Religion, Sin Boldly and the novel Downhill from Vimy.